To serve the perfect pint, you need to have a dry and cool glass. That’s exactly what automatic glass dryers can provide, in as little time as 4 minutes. 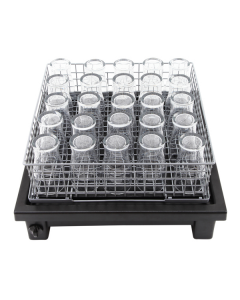 These machines are designed for busy restaurants or bars that cannot wait for glasses to dry on the shelf after washing. By using an automatic glass dryer, operators can see significant increases in their turn-around time on glassware after washing, and an improvement in customer satisfaction with a guarantee that drinks are always served in cooled glasses. Automatic glass dryers are also great for restaurants as they can be used for drying plates too. They help to significantly reduce cross-contamination by eliminating the need for using cloths or tea towels, that can often become filled with dangerous bacteria with frequent use or if left damp.